Step 1. Point your browser to http://www.publicbank.com.my . Once the page has loaded. Scroll down until you see the following logo on the left navigation bar. Then click on it. Step 2. You will see 2 options. Use the link for New Enrollment. Step 3. 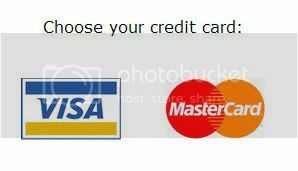 Click on the Visa logo. Another page will pop up on a new browser. Make sure you have set “Allow popup” for publicbank.com.my domai. Else, you will not be able to see the new page. Step 4. Fill in the form. Make sure you only put “000000” for the Credit Line. Note that this Credit Line only works for Public Bank Visa Electron. After you’ve filled up everything, key in the Mother’s Maiden Name that you’ve used when you sign up for your Visa Electron card. Then click Activate Now. Step 5. Fill in the Personal Message. This PM is stored on the bank system. Only the bank and you knows about this Personal Message. The next time you make transaction at marchant’s site that require VbV, you will see the PM that you’ve submitted. This is to ensure that you’re not being directed to a phishing site instead. Use the keypad on the right to create your PIN. Click Submit when done. p/s : If you plan to put this on your site, please at least give me a credit or put a link back to me. I put a lot of effort and time in making this guide. Thanks. Verified by Visa Enrollment successful! Your PB Visa card has been successfully enrolled. Yeah, thanks to Melvin. Perfect Guide for a noob like me. Didn’t know there is such things exist also. Thanks for sharing. anyone know what to do if my account block due to input the credit line wrongly exceed three time? I also face the same thing. i call the card service center at 8pm but no answer. if you’ve read the entire post, I’ve written the whole guide for registering your Debit card with VbV. the credit line is 000000 . Please call them before 6pm. U helped a lot bro.. i wasnt sure about the credit line.. so i search n found this website.. thx a lot. Just got my DC, need more details B4 registration. Thanks for your details explaination. You helped me a lot to find out what is the visa electron’s credit line! And now, i have already successful enrolled my card, thanks. hoho.. got locked as well.. but i tried it before i read ur post ekeke.. settled already with pb.. they will unlocked hihi.. thanks for this tip..
wat is personal message? wat should i filled in? The personal message is meant for you to type something like that only you know. If you put something like “Hello there”, you will see that personal message during your transaction in any sites that is supported by VbV. It’s a form of verification so you can identify phishing sites. oo. thanks alotz. btw one more question. wat is the cvv number? is it the number that printed at the bac of the card and near the signature part? Odd, for some reason i tried many times to activate my card and it failed many times. This will be my fourth time calling just to unlock the account. I have been wondering, what cause it fail to verify? I know my credit line as the card is a credit card and all input information is correct but still fail to verify. I have tried to find answers to it and tried all ways to solve this problem but none could step forward with a valid answer.. IMHO, this Verify by Visa thing is really a headache. actually i don’t understand what is meant by creditline. AND as Melz wrote above ‘for debit card the credit line is 000000’ so how about credit card? is it the same as well? Actually the best way is to call up their card center what to fill in the credit line. That what I did previously. I got locked out the first time i tried to apply for VbV. Just making this post to help out those who are using the debit card. As for credit card, I might not be able to help..
Hi, i had followed ur steps to verify my visa electron card. And it had stated successful. do you have any idea what this means? why can’t i continue with the transaction? It’s probably due to the error in their website. Should not have anything to do with your card. What site were you at? urgent pls…. i need to book a flight ticket but have some problem for the credit line. ONSCREEN, may i know how you get to know your credit line? or any one else can help me? I am using Public Bank Visa Classic. This card cannot be linked and confirmed by paypal. Which card to you mean? 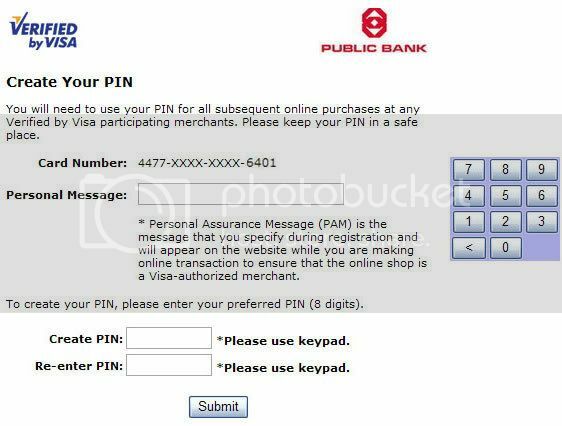 Public Bank Visa Electron? If it is, this card is definately able to verify and linked to paypal as I’ve linked mine. I want to know is there a maximum spending limit per transaction because I want to use it to buy a laptop online. There’s no maximum spending limit for VE actually. The maximum = the amount that you put in minus RM25. Eg. Laptop RM2999 , you must have roughly around RM3024 in your card account. But make it RM3050 to be safe. hello, how i knw my visa eletron card ,still can use or not b”cos i allready a year no use already . can i use it back or no if i debit some money in. kah how: i think it’s the best that you call up their card centre and verify with them. they should be able to let you know the status of your card. icedcoffee : i’m sorry if the information published here is wrong. I’m not sure if the signing up process has been changed or not but it was right at the time it was being published. sorry if it caused inconvenience. is Public Bank Visa Electron VbV same as Maybank Credit Card VbV? coz i have some problem paying my online game with my Maybank Credit Card VbV. 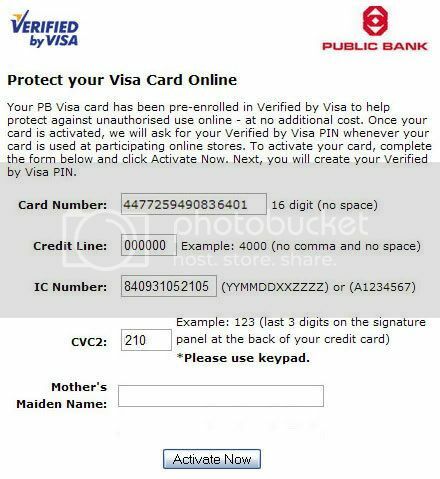 Some forum says that Public Bank Visa Electron VbV will solve my problem. Its been 3 month i tried to find the worldwide VbV that can pay my online game fees. Please help me!! 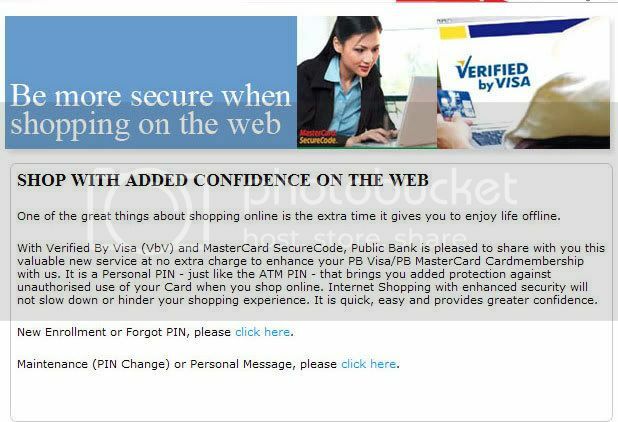 Hi melz ..is it verified by Visa for Public Bank Visa Electron online free ? then how u will get that card . Maybank’s MSOS seems more secure by sending you a one-time-use transaction code to your handphone. need Verified By Visa juz can online purchase ? Xuan, VbV now is very different.. they’re using OTP now. for transaction , they will send you a code on your phone to verify transaction. but you still need to register your phone number first.